At least once in a hunter’s lifetime they should experience the ultimate backcountry elk hunt. Salmon Forks Outfitters offers wilderness pack in horseback hunts into the famed Bob Marshall Wilderness. These are rugged hunts offered in September and October coinciding with the rut of the elk. What makes these unique is that the Bob Marshall is one of the few places in the country where you can hunt for elk using a rifle during the rut. 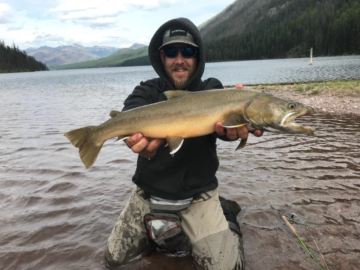 Salmon Forks Outfitters is blessed to have access through their USFS priority use permit assigned areas within the central interior of the Bob Marshall. 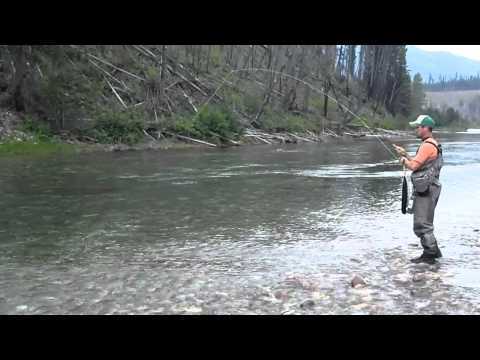 The assigned camp is at the confluences of the South Fork of the Flathead and White rivers. This camp is well positioned to allow guides and their hunters to strike out in any direction accessing over a dozen drainages within a three-hour horseback ride or less. For our more adventurous clients, we offer the ability to “spike out’ with a small camp away from our main camp. This technique allows our guides and their clients to access higher up and farther-reaching areas is a drop camp setting. Guests and their guide ride to the location and are dropped with light camp gear and backpacking food. They hunt and camp at the resource with a crew on standby to come back and retrieve harvested animals or return the group back to the main camp. These hunts seem to come from a time and era deemed gone by. There was a time when all hunters would access the backcountry and challenge the elements and themselves in pursuit of wild game. With the rise of ranch and farm based hunts, fewer people (especially youth) truly experience an authentic hunt the way it used to be. Are you up for the challenge? You’ll be tested for sure, from the extended horseback rides, rugged mountain walking and often extreme weather variances of the Montana mountains, make no mistake about it these hunts are tough! But when you harvest an animal under these conditions, you truly feel as if you have accomplished something. Anyone can ride in a car and shoot animals taking safe harbor on a ranch or farm. If you want to experience a hunt they way the pioneers did, than this is the hunt for you! Salmon Forks Outfitter hunts have been booking a couple of years in advance, so make your reservations right away. Elk licenses are the easiest license to get in the State of Montana and have not required participation in a drawing the last 10-years. Call us to day to discuss your needs and our offerings to determine if this is the right hunt for you.